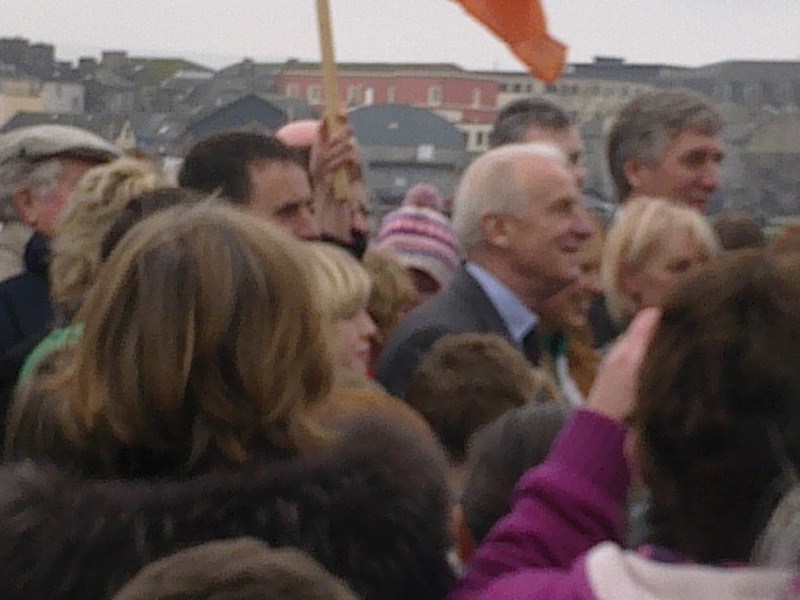 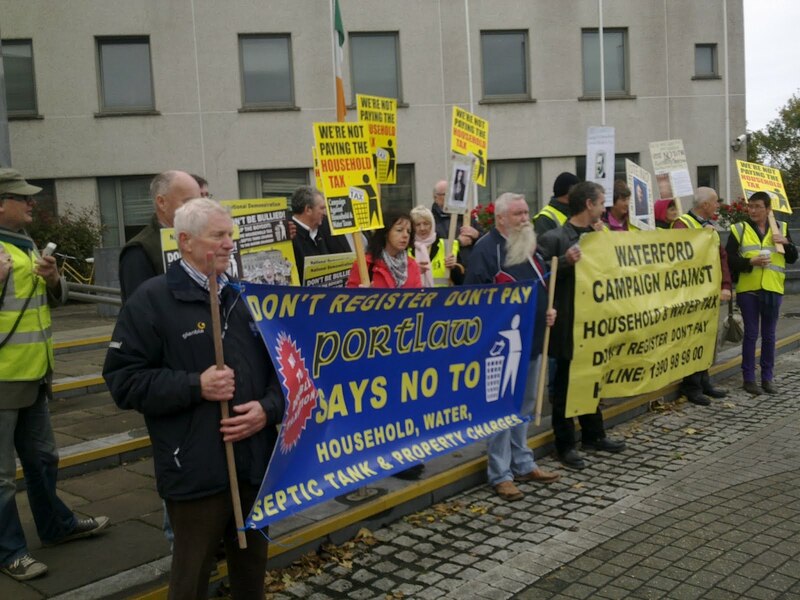 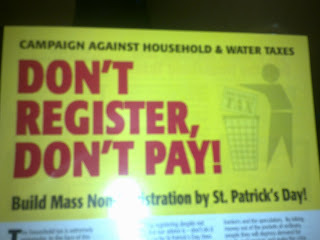 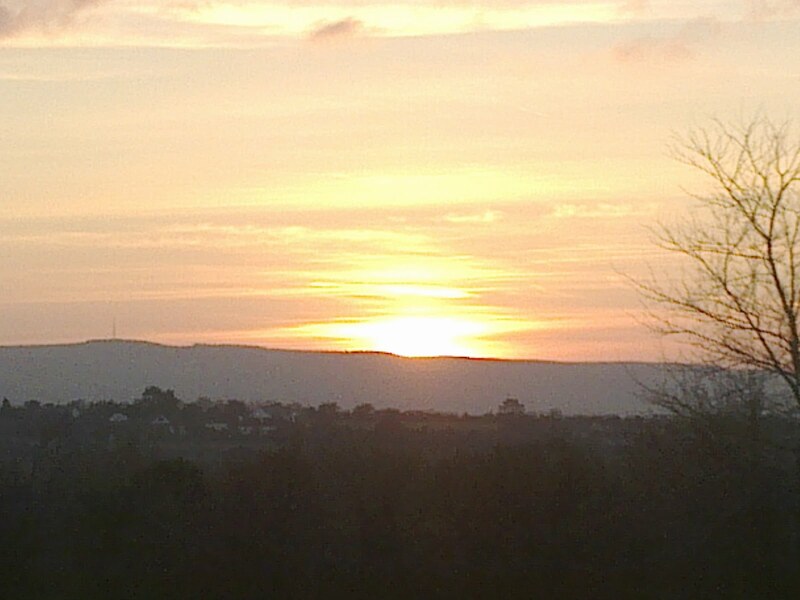 Dungarvan CAHWT Protest Against Household Charge. The "back door" is often referred to in the GAA, a second chance to further your prospects in your field so it were, but today it can be used simply to describe the route of access taken to the Dungarvan Civic Offices by two Fianna Fail members who seemed set on ignoring the members of the public protesting the Household Charge at the building's front. 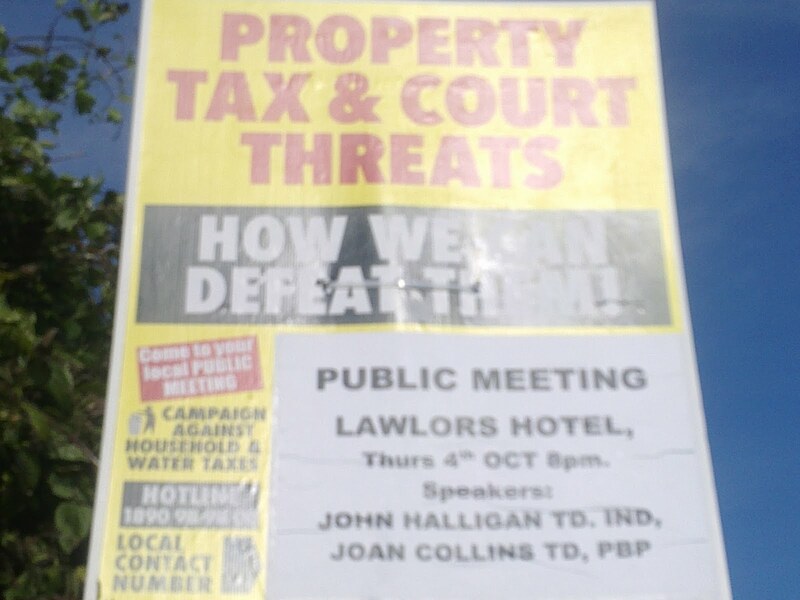 There will be a CAHWT meeting regarding the Household Charge and proposed property tax in Lawlors Hotel, Dungarvan this Thursday 4 October at 8 p.m. 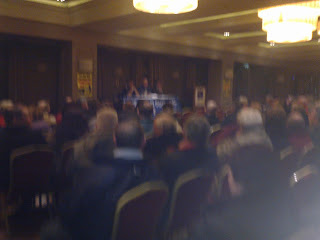 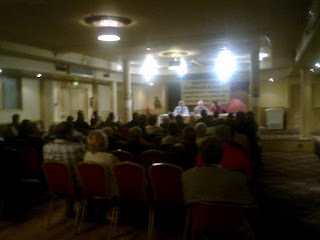 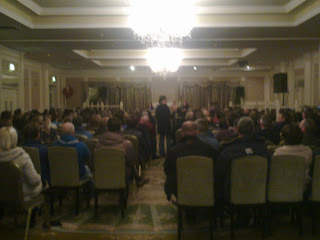 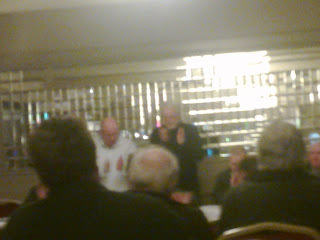 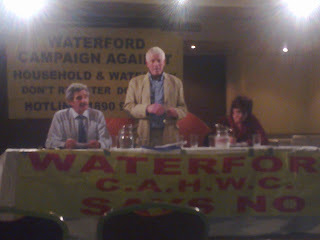 Independent Waterford TD John Halligan and John Collins TD of People Before Profit will be amongst the speakers. 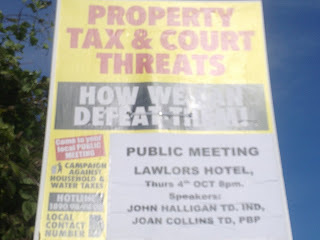 All that may have questions or concerns, or those wishing to find out more regarding these issues will be most welcome. 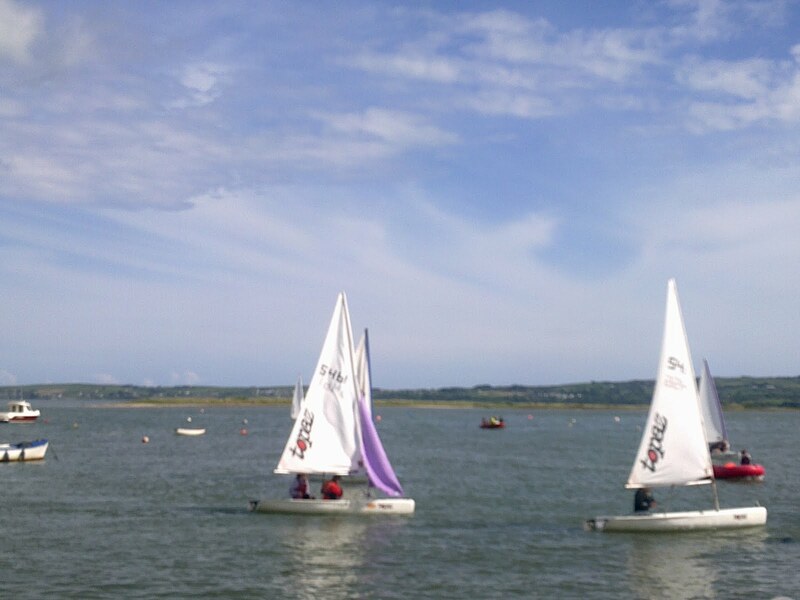 Sailing Club Return to Shore.